Ooo this week has been a doozey. Rainy, and wet, and cold, and snowy. 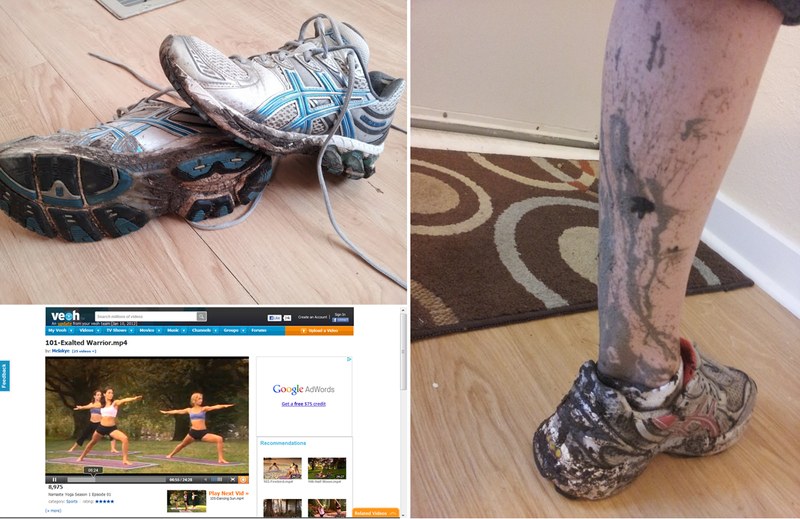 The perfect set-up for the excuse not to run. Let me tell you, it was tough not to give in. But! I knew here I would be, writing up the post, and I didn't want "passed", "lazy", "insert excuse here", to show up in lieu of the actual workout. Ha, I knew I was keeping track of my training here for a reason. Gotta keep me honest. Which doesn't necessarily preclude me from changing things up a bit. I was planning on doing this for my workout this week, but instead, I opted switch things around slightly -- partly due to thinking things through a bit more, partly due to how my legs were feeling, and partly due to a certain nephew celebrating his 1st birthday this weekend. Not exactly how I was envisioning the week panning out, but sometimes you have to rearrange things around your schedule. Like my long run getting squished in on Friday morning instead of Saturday. Even if it meant getting up early and running in 17F weather with a windchill of -2. With blowing snow. Not ideal (would have rather had a day off), but what are you going to do? 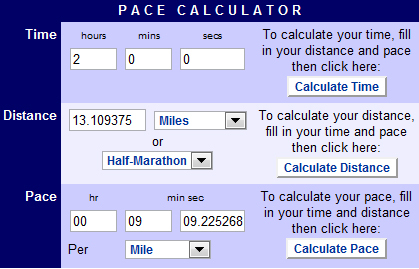 Now that I have officially signed up for the half, it's time to set a goal time for myself. Since I'm actually attempting to train for this race, unlike my previous races, I figured this would probably be a good thing. So, I've decided to aim for under 2 hours. This works out to a little over a 9 minute/mile pace. While it may not seem all that fast to some of you, it's pretty reasonable for me as my past endurance races all have me coming in well over that at the half marathon mark. Good for you!!! I'm glad you're documenting your training. Thinking of you!